In 2010, the book Kvinnornas Helsingfors – Naisten Helsinki – Women’s Helsinki came out in Swedish and Finnish. 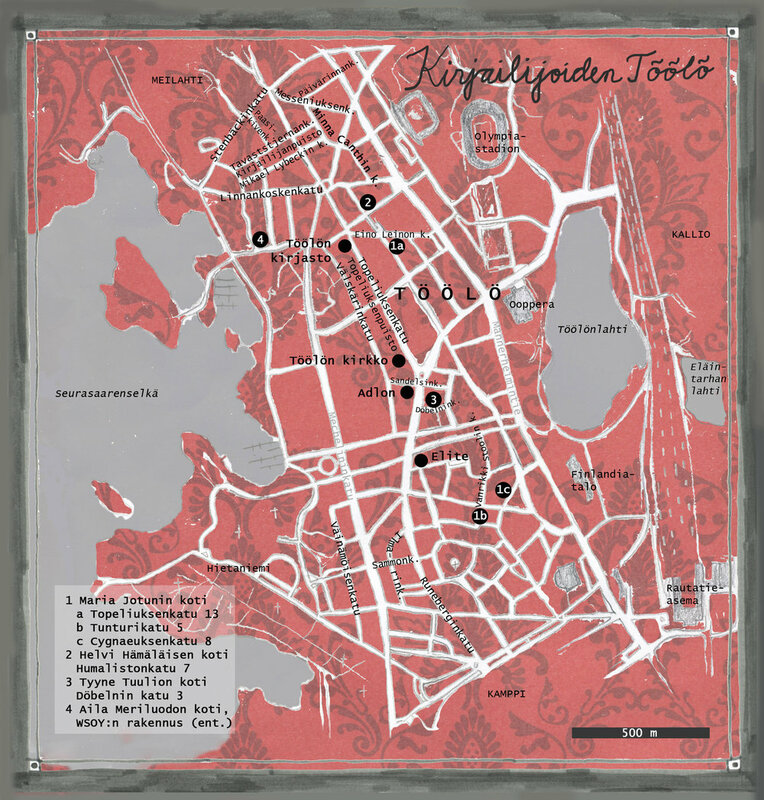 The book is a kind of cultural/historical guidebook about Helsinki, where we look at the city from women’s perspective. I took part in the planning group behind the book, I contributed with a text (about street galleries) and I made the maps for it. I drew maps for a newspaper (Hbl) in the 90’s, then the informative side of the maps was of course the focus, the journalist’s point of view. Later I became an artist, a painter, and in this project, I saw the longed for opportunity to combine this informative aspect of maps with the more aesthetic possibilities a painter might see. In maps there is also always a kind of third interesting aspect: what is the exact truth, geographically? The answer is that there is no such thing. The world is round, so all attempts to show it exactly on a 2dimensional paper must fail. Which means, that all attempts are choices, decisions of some sort. What do you choose to show, what are you leaving out? What will you put in the centre? Old maps are quite often beautiful, I mean: there has been an obvious effort to draw them beautiful. The parks are painted green, the texts are more a part of the harmonic picture than easy to read. The impression is that you feel the mapped place must be nice, harmonic, enjoyable to be in. Compare this thought to nowadays city maps, often in bright colours, lots of texts, signs, road, streets, much more than needed to give you a harmonic impression of a place; the idea is instead to give you as much information as possible. 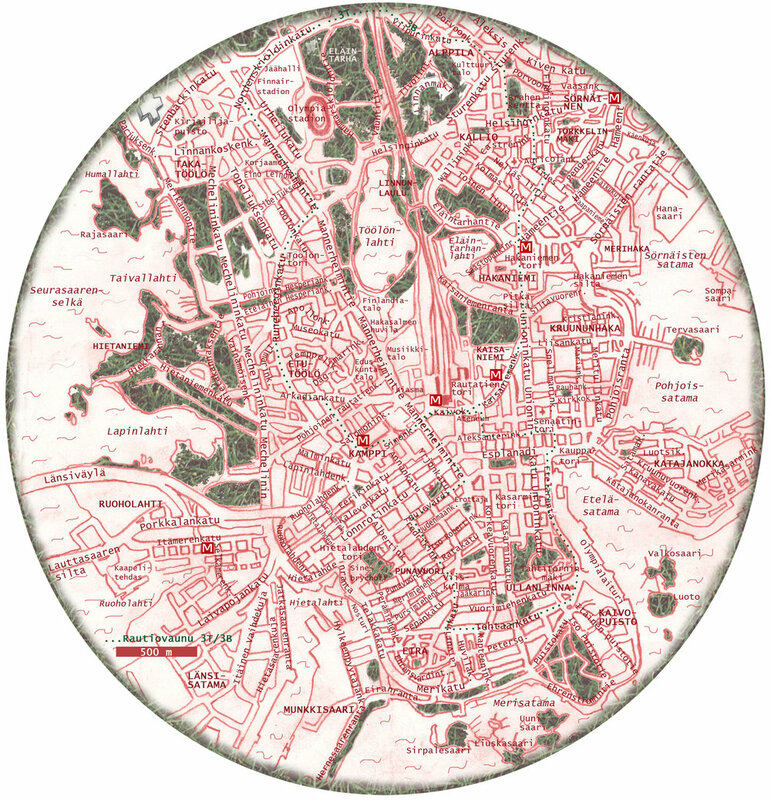 We all know this about old and new maps of cities, we know it so well that we don’t ever even think about it. But as soon as we see an old map, we immediately date it, without even thinking about it. 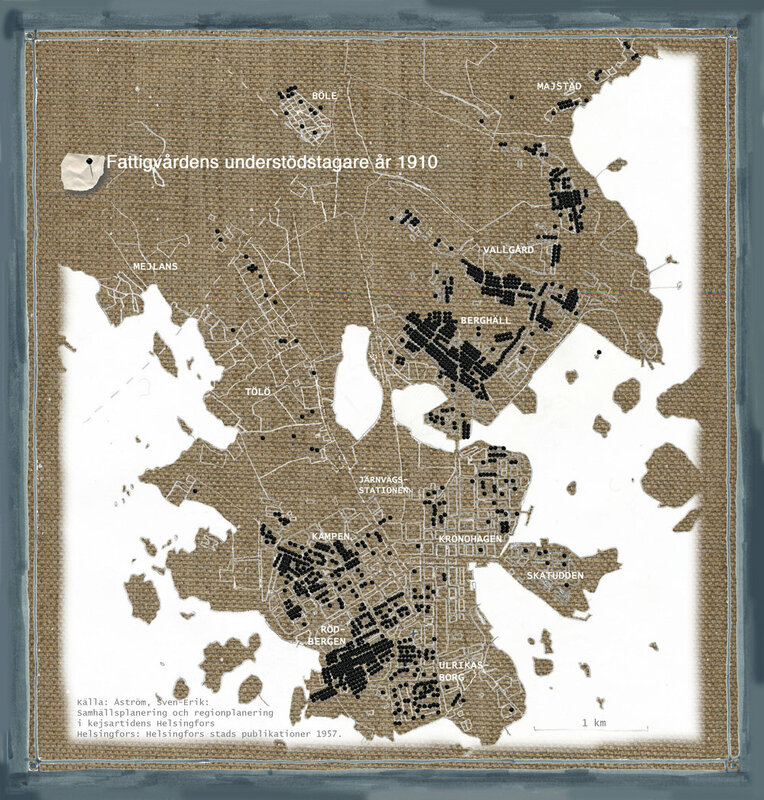 In the book Women’s Helsinki I wanted to get more of the aesthetic values also in more nowadays maps – but still I use the old codes when I use watercolour in the 1700 map.